Safe space, guys, when Netflix first announced back in 2017 it had Sabrina The Teenage Witch on the cards for a remake we wondered how it could possibly match the original series’ nostalgic 90s vibes? Melissa Joan Hart was basically my style (and life advice) guru for much of my early teens, spending a solid chunk of my after-school time engrossed in her whimsical world of talking cats, crazy aunts and heartthrob bae (still obsessed with Harvey Kinkle, FYI). Also, her fashion was on point... So, there’s that, too. But of course the big wigs at Netflix know this. They know that a present-day reboot could never recreate that innocent magic and the now naive (and somewhat outdated) ideals of Sabrina circa 2000. So, they chose a different path for our lovable teenage sorceress. 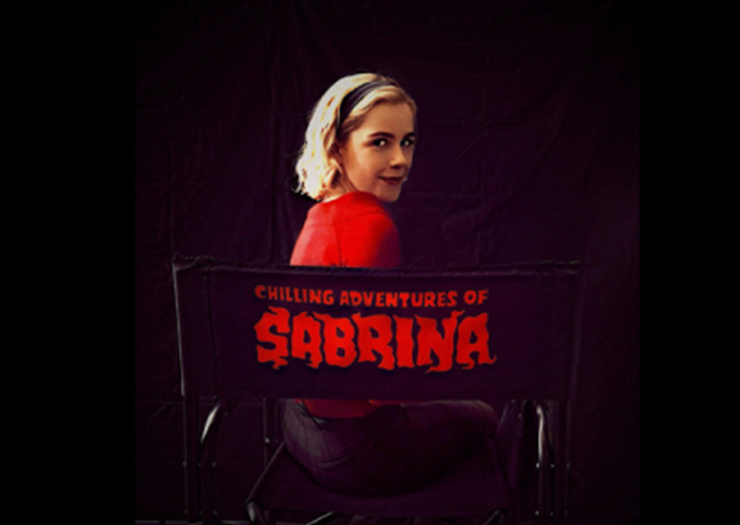 The speculative 2019 reboot aptly titled the ‘Chilling Adventures of Sabrina’ will be based heavily on the original Archie comics (cut to sister show, Riverdale—also based on the famous comic series—and you’ll get an understanding as to how dark this will get), so expect it to be a much darker, sinister version than Melissa Joan Hart getting into PG-rated mischief and talking with her cat, Salem. We’re talking occult themes and a dash of horror, folks. It’s all very ‘The Craft’ vibes (80’s babies, you know what I’m talking about). With a speculative release date sometime in 2019, filming is well under way, with first-looks at characters already having been released; Kiernan Shipka will play the title role of Sabrina, Miranda Otto as Zelda, and Ross Lynch as (love of my life) Harvey Kinkle. Like creepy s**t? IT 2 is in the works, so prepare to get properly spooked next year.